The Merchants of Third Avenue invited people to come and take a summer stroll on the avenue on a hot summer night, and thousands of folks took them up on the offer. 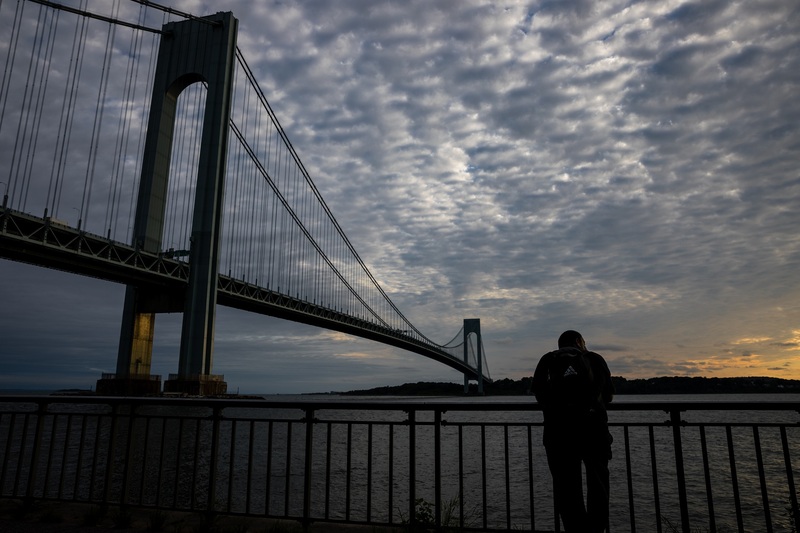 The first of four Summer Stroll on 3rd events the Merchants group is planning to host this year drew big crowds to the Bay Ridge shopping thoroughfare on July 15, according to organizers, who said the hot weather didn’t keep visitors away. As part of Summer Stroll, an 11-block section of Third Avenue (from Bay Ridge Avenue to 80th Street) was closed to vehicular traffic on Friday evening so that a pedestrian plaza could be created. Many of Third Avenue’s finest restaurants, including Salud, Greenhouse Café, Giacomo’s, Salty Dog and Tanoreen, set up sidewalk cafes that spilled out into the street. The summer air was filled with music. There were performance stages set up at several points along the Summer Stroll route. The performers included the cast of “Hairspray,” a version of the Broadway show produced by Jeff Samaha Theater Productions/Ridge Chorale. A few blocks away, solo guitarist Dan Avery was singing Tom Petty’s “Free Fallin’” in front of the Pour House pub-restaurant. Summer Stroll gave people a chance to leave the stresses of work behind for a night and relax and unwind. The Brooklyn Eagle spotted Assemblymember Nicole Malliotakis (R-C- Bay Ridge-Staten Island) enjoying a meal with friends, including Brooklyn Conservative Party Chairman Jerry Kassar, at the outdoor café outside Tanoreen. Assemblymember Pamela Harris was seen strolling along the avenue with members of her staff. Coming just two nights after the terror attack in Nice, France, in which a truck driver plowed into a crowd celebrating Bastille Day, killing 84 and injuring more than 100, the Summer Stroll on 3rd was an act of defiance aimed at informing terrorists that New Yorkers are unafraid, said Charles Otey, executive secretary of the Merchants. “We thought people would be afraid to come out, given what happened in Nice. But that hasn’t turned out to be the case at all. People are resilient. And everyone is having a great time,” Otey told the Eagle. The Merchants group is an organization representing the interests of store owners on Third Avenue between 68th and 94th streets. More than 200 storeowners are members of the Merchants group. Summer Stroll on 3rd is part of the Weekend Walks program sponsored by the New York City Department of Transportation. There are three more Summer Stroll events planned for Bay Ridge in July and August. On Friday, July 22, the event will take place between 80th and 90th streets. On Friday, Aug. 5, Summer Stroll moves back to the area located between Bay Ridge Avenue and 80th Street. The final Summer Stroll for 2016 will be on Friday, Aug. 12, from 80th Street to 90th Street. Ilene Sacco, a lawyer and the former president of the 68th Precinct Community Council, is coordinating Summer Stroll on 3rd for the Merchants. State Sen. Marty Golden (R-C- Bay Ridge-Southwest Brooklyn), Councilmember Vincent Gentile (D-Bay Ridge-Dyker Heights-Bensonhurst) and Community Board 10 are providing logistical support.